FIGURES released today by the Finance & Leasing Association show that new business in the point-of-sale consumer car finance market grew one per cent by volume and four per cent by value in December 2018, compared with the same month in 2017. The point-of-sale consumer new car finance market reported new business volumes in December four per cent lower than in the same month in 2017, while the value of new business held steady. 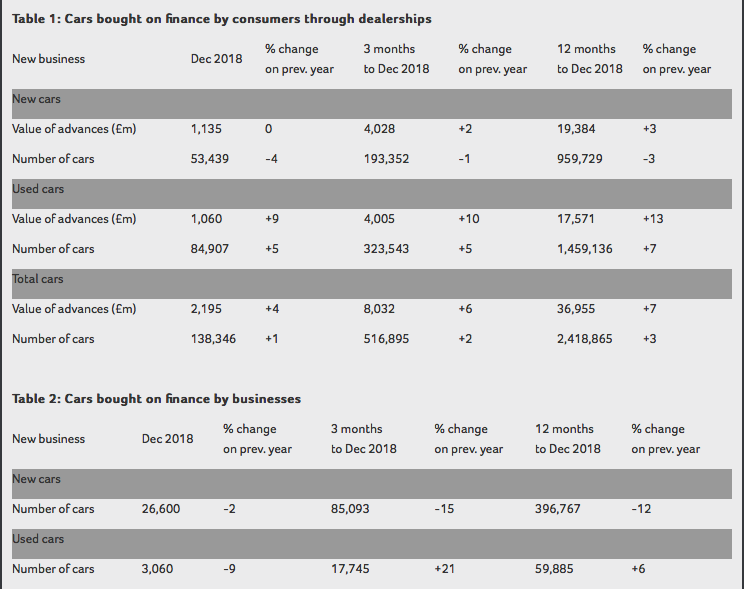 The percentage of private new car sales financed by members through the point of sale was 91.2 per cent in the 12 months to December 2018 – unchanged compared with the year to November. The point-of-sale consumer used car finance market reported new business growth in December of five per cent by volume and nine per cent by value compared with the same month in 2017. FLA head of research and chief economist Geraldine Kilkelly, pictured, said: ‘The point-of-sale consumer car finance market grew in 2018 in line with expectations, with new business volumes three per cent higher than in 2017.